This post was published just before 7:00am from my Mom’s home in Holbrook, NY. I enjoyed another relaxing day here yesterday. And a nice swim in the rain. This post, which took me about 2 1/2 hours to prepare, marks 246 consecutive days with a new enjoyable and educational blog post. Tomorrow I pack for my flight home on Monday. With so many folks getting in the habit of using our B&H links and our Amazon logo-links, why quit now? April, May, and June were fantastic. July was good. Lots of folks are getting the message: using my affiliate links does not cost you a penny and helps support my efforts here. To show your appreciation, I do ask that you use our B&H and Amazon affiliate links on the right side of the blog for all of your purchases. Please check the availability of all photographic accessories in the BIRDS AS ART Online Store, especially Gitzo tripods, Wimberley tripod heads, and the like. We sell only what I have used and tested, and know that you can depend on. We will not sell you junk. We know the tools that you need to make creating great images easy and fun. And we are always glad to answer your gear questions via e-mail. This image was created with the hand held Canon EF 70-200mm f/2.8L IS II lens (at 130mm) and the Canon EOS-1D X. ISO 800. Evaluative metering + 2 1/3 stops off the dreary grey sky: 1/2000 sec. at f/4.5 in Manual mode was a significant under-exposure. Central sensor/AI Servo Surround/Shutter Button Focus AF on the bird’s rear belly was active at the moment of exposure. Be sure to click on the image to see a larger version. On our first trip on the gannet boat the action was so fast and furious that after the first half hour of our two hour session lactic acid began to build up in my right thumb from too much rear focusing. So I decided to turn off Rear Focus and go with Shutter Button AF. Doing that is super-simple with both the 1D X and the 5D III. Learn how immediately below. IAC, it was good-bye to the muscle strain and fatigue. And I got dozens of great keepers like the one above…. That got me to thinking…. This image was created with the hand held Canon EF 300mm f/2.8L IS II USM lens, the Canon Extender EF 1.4X III, and the Canon EOS-1D X. ISO 400. Evaluative metering +1 2/3 stops off the cloudy bright sky: 1/1600 sec. at f/4.5 in Manual mode. AWB. Central sensor/AI Servo-Expand Shutter Button AF barely caught the head of a tiny fish as originally framed and was of course active at the moment of exposure. Click on the image to see a larger version. Switching from Rear Focus to Shutter Button focus and back again is actually a snap as long as you know how to use the Q button on the back of your 1D X or 5D III. Let’s say that you are set up for Rear Focus. First press the Q button. This brings up the Custom Controls screen on the rear LCD. Now scroll with the joystick to the camera body symbol in the lower right corner and press the Set button. The first item in the left hand list just happens to be the one that we need to access: “shutter button. half press”. Since you are set up for Rear Focus the 2nd line will read “Metering start”. Now press Set again. The symbol in the middle, “Metering start” will be highlighted in aqua. To switch to Shutter Button AF simply turn the thumb wheel one click counter-clockwise so that the “Metering and AF Start” symbol is highlighted. Although it took me more than 5 minutes to carefully craft the how-to text above actually switching from Rear Focus to Shutter Button AF takes less than 3 seconds with a modicum of practice. To go back to Rear Focus, simply reverse the last step. This image was created on the Nickerson Baby Beach Nesting Birds IPT at 3:46pm on a rare foggy afternoon with the Gitzo 3532 LS carbon fiber tripod, the Mongoose M3.6 head, the Canon EF 600mm f/4L IS II USM lens and the Canon EOS-1D X. ISO 400. Evaluative metering +3 stops off the very light grey sky: 1/1000 sec. at f/5.6 in Av mode. AWB. One sensor above and one sensor to the left of the central sensor/AI Servo/Surround shutter button AF just caught the right side of the tern’s body and was active at the moment of exposure. Click on the image to see a larger version. By the time that we got to Nickerson Beach I decided that in flight-only situations I would go with shutter button AF. Gasp! 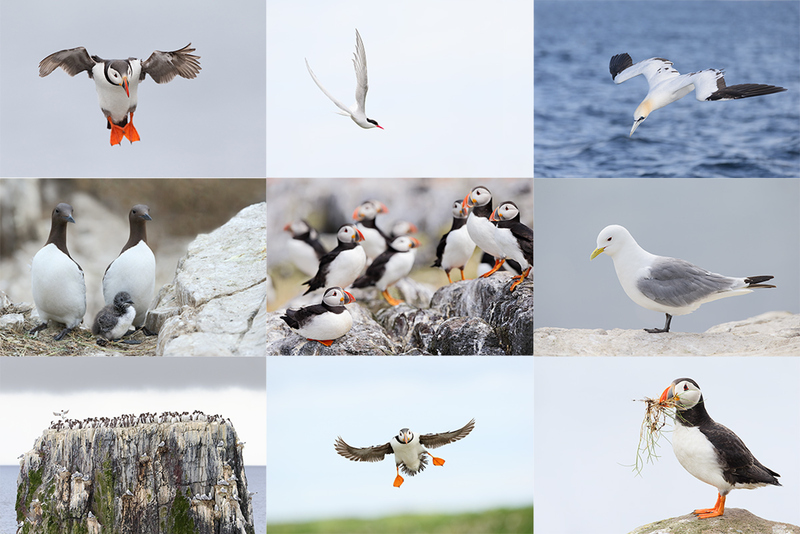 By flight-only situations I mean periods of time when I will be concentrating on photographing birds in flight to the virtual exclusion of all else. On Great Gull Island I began doing the same thing. Please do not think that I have forsaken Rear Focus/AI Servo AF for my general bird, wildlife, nature, and scenic photography. There are huge advantages to using Rear Focus in those areas. I now go to shutter button AF only when I will be doing pure flight photography. In all other situations I simply switch back to Rear Focus AF. If a bird happens to fly by then, I will use Rear Focus AF for flight. Over the past few weeks one or two careful readers have noticed that the familiar “Rear Focus AF” text was on occasion missing in action from our legendary BAA educational captions… In fact, many of the quite excellent flight photographs that I have posted fairly recently were created with shutter Button AF. 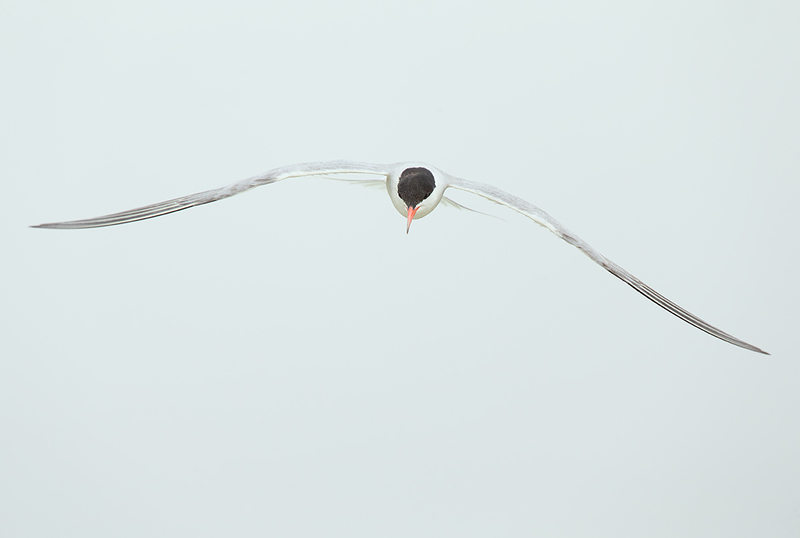 The most spectacular of those was the diving Common Tern in the blog post here. 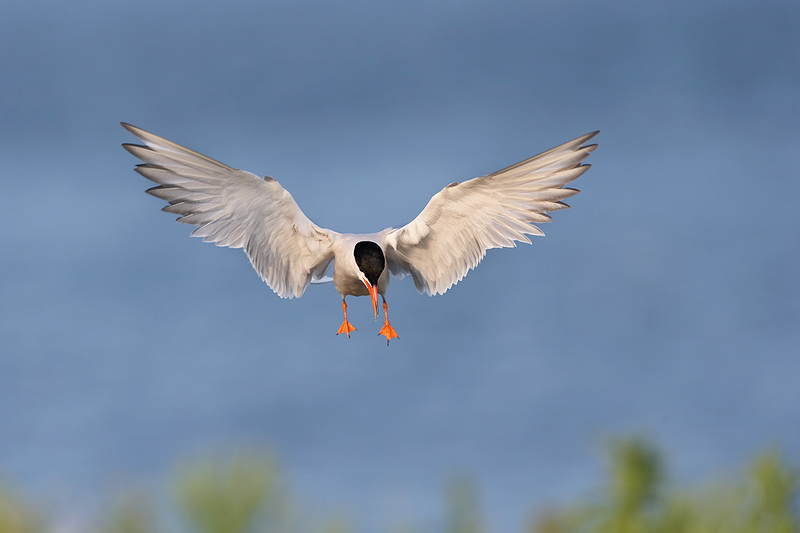 This image was created on Great Gull Island with the hand held Canon EF 300mm f/2.8L IS II USM lens, the Canon Extender EF 1.4X III, and the Canon EOS-1D X. ISO 400: 1/3200 sec. at f/4.5 in Manual mode was set inadvertently; I meant to be at 1/1600 sec. at f4.5…. The result was a 1 stop under-exposure. AWB. Central sensor/AI Servo-Manual Selection Shutter Button AF just to our right of the top of the bird’s head was of course active at the moment of exposure. Click on the image to see a larger version. As far back as the the original The Art of Bird Photography I wrote something to this effect: “If you run into me in the field and see me doing something differently please remember that that would just show that I am getting smarter and that I am always trying to learn and to improve. As above. Please take a moment to leave a comment and let us know which of the two images here is your favorite. And do let us know why you made your choice. Images and card design copyright 2014: Arthur Morris/BIRDS AS ART. Click on the card to enjoy a spectacular larger version. June 29 through July 5, 2015: $5499: Limit 10 photographers/Openings 8. Two great leaders: Denise Ippolito and Arthur Morris. Here are the plans for next year: take a red eye from the east coast of the US on 28 June arriving in Edinburgh, Scotland on the morning of Monday 29 June (or simply meet us then either at the Edinburgh Airport (EDI) or later in the day at our cottages if you are driving your own vehicle either from the UK or from somewhere in Europe. Stay 7 nights in two gorgeous modern country cottages. 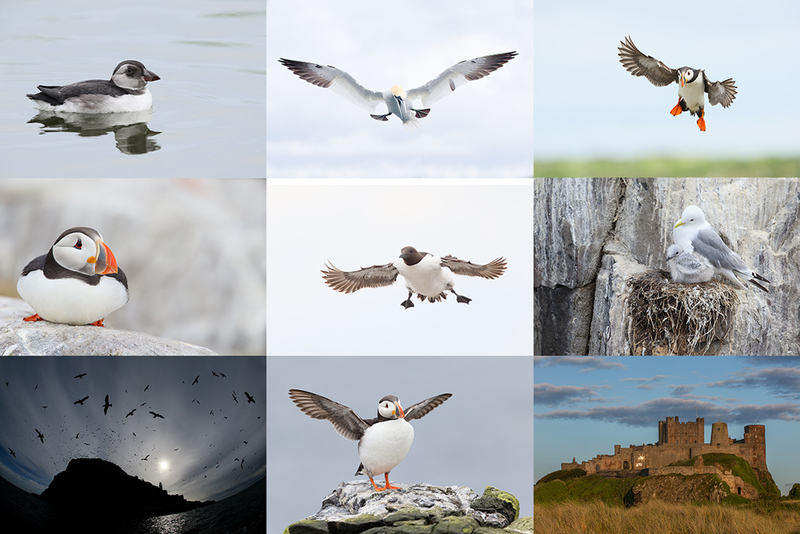 There are 5 days of planned puffin/seabird trips—weather permitting, and 1 full day of gannet photography with 2 sessions on the boat. All breakfasts, lunches and dinners are included. 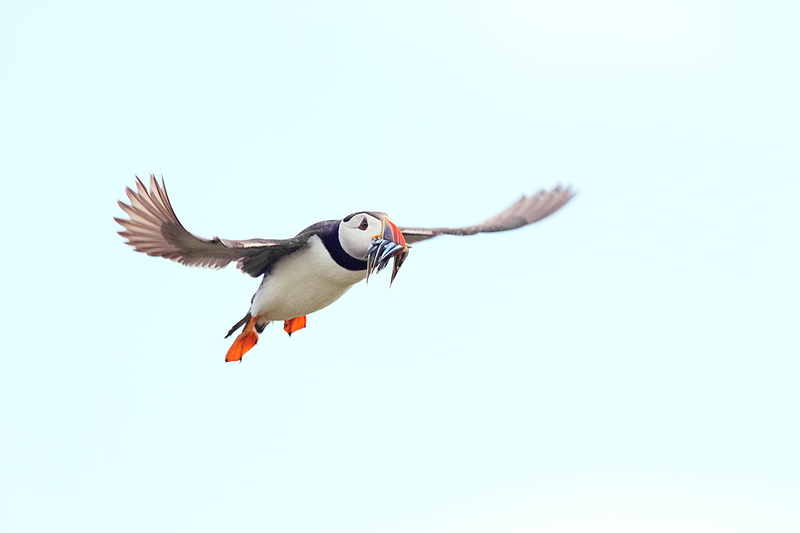 All 5 puffins boat lunches will need to be prepared in advance, taken with, and consumed at your leisure. I usually eat mine on the short boat trip from one island to the other. Also included is a restaurant lunch on the gannet boat day and a farewell fine dining thank you dinner. The cost of your National Heritage Trust is also included; that covers the twice a day landing fees. Plan to fly home on the early morning of Monday 6 July or to continue your stay or travels. We are planning this as double-occupancy only but we should be able to arrange for singles by renting a 3rd cottage. We would need to know well in advance, i.e., soon, and it would be pricey and would need to be paid with your non-refundable deposit of $2,000. The shared rooms are decent-sized, each with two roomy single beds and a private bathroom. There are two king rooms available for couples. The upscale country-side cottages are beyond lovely with large living areas and lots of open space for image sharing and Photoshop lessons. The single supplement is $1475. As we will be renting a third cottage the $1475 is due with your deposit and is also non-refundable. If you are good to go please send your $2,000 deposit check now to save a spot. We do expect this workshop to sell out very quickly as we have already sold 2 slots even though the trip has not yet been formally announced till right now. 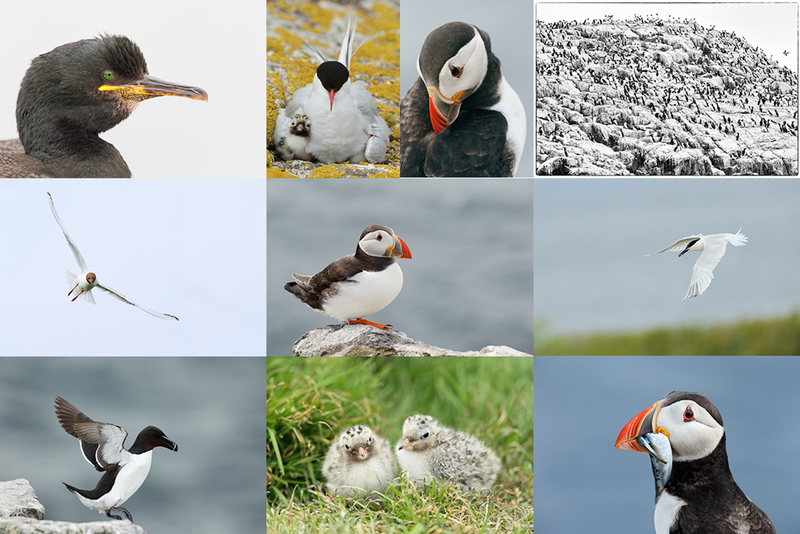 Not to mention that everyone loves puffins. Please make your check out to “Arthur Morris” and send it to Arthur Morris/BIRDS AS ART, PO Box 7245, Indian Lake Estates, FL, 33855. We do hope that you can join us. A confession? How cool is that for a headline grabber! And on a super subject to boot. I have been using the Artie Morris Rear Focus technique for years and have had the thumb fatigue symptom on one occasion. I think it was the day I captured 3400 images. That was quite a long while ago and have not had a repeat of the discomfort since even though I continue to use the RF technique which I like A LOT. It is certain that I have missed countless flight keepers, however, and am very excited to apply Larry Brown’s C1-C2 approach with my 1DM3 and 1DM4. In one of your tutorials Artie, I believe I recall you offering instruction on how to readily use both RF and shutter button AF. It might have been for my 5DM2 (not used in a long while). 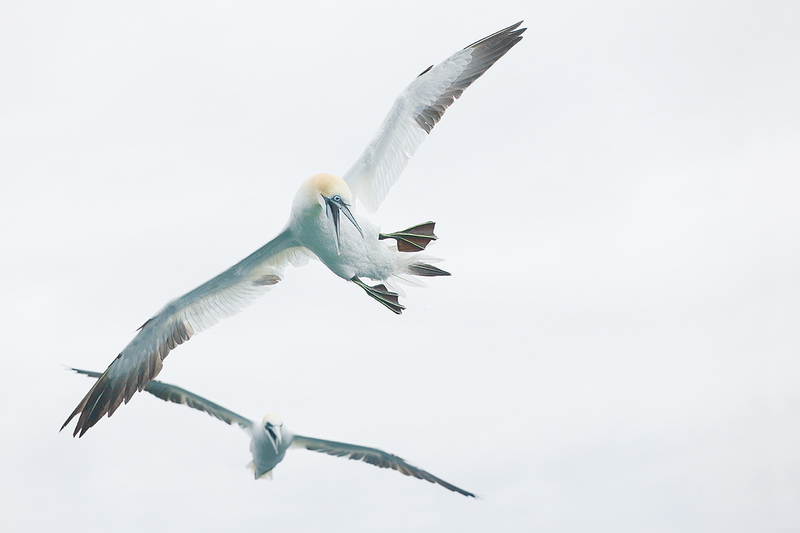 Artie, while you are inviting us to choose from two images here as a favorite, (of the four) I prefer image #1 “Gannets Crossing.” The reason is for its compelling action. I wonder what is going on off frame and find the distant approaching gannet adding further mystery to what is happening. Thanks for mentioning the Q button. I forgot all about it. I find it too confusing to switch focusing methods but I have now programmed the Q button for flash compensation and will find it useful. I had asked you about thumb fatigue several months ago because the same thing happens to me 🙂 At that time it had not yet happened to you. I have to switch back and forth between the two methods as well. With 2 camera bodies you could keep one set to each method. Artie… Thanks for being an upright and honest guy!! Love that about you! I believe in you, Artie… and your willingness to be human.. as hard as that is for all of us, sometimes.